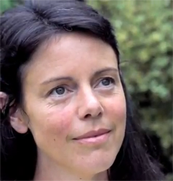 Grace and her husband got devastating news during a scan on their third pregnancy. I'm the mother of four beautiful daughters. Tragically one of them is in heaven. This is the story of Lilly's little life. 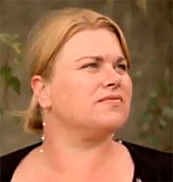 "When I got pregnant in April 2011, we had just moved into our newly built house which is built on the road I'd lived on all my life. We had a hard time getting planning permission, we'd ran out of money and we got very stressed thinking we would never move into it. Little did we know that the most stressful time of our lives was yet to come. I went down for my first scan on the 14th of July when I was 19 weeks pregnant. I had already had two perfectly normal births and I was expecting this one to be easier than the last two, as normally they say that after you've had a couple the third one is easy. My world fell apart that day when the sonographer said the baby looks like it only has 2 chambers in its heart and it has a lemon shaped head. She also told me I was carrying a lot of fluid. But then I was brought down the next day to see a doctor who was a specialist in Wexford hospital. She confirmed their findings. I started going down once a week to keep getting things checked, and I was sent to a major hospital to have a more specialised scan done. Other than that, I will say that the pregnancy seemed absolutely normal. I had normal urine samples, normal blood pressure, and even though my little Lilly only had 2 chambers in her heart the traces they did on her heart were perfect every time. 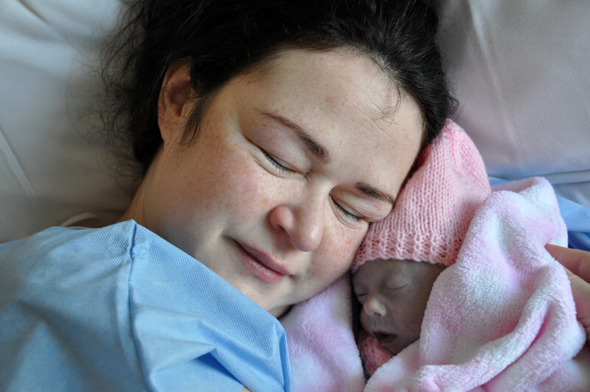 "I look back knowing I did everything I could possibly do to make sure she got here and knew that she was so loved." The doctor did the scan and then said he wanted to do an amniocentesis to make sure ...as he said, literally in a heartbeat after he looked at my baby, that she had Edwards syndrome or Trisomy 18. I felt bullied into having an amnio done even though I didn't want one done, as I have always felt it has risks for the baby. However, it ended before it began. The needle got into my skin about 1cm before my whole womb contracted. I remember looking at the screen at my active little girl who had gone very still and I just said 'Stop'. They tried to fob me off with tea and coming back later, to which I replied that no amount of tea was going to change my mind. The doctor brought me into a room for grief-stricken parents and said to me as I was crying my eyes out that with an Edwards syndrome baby they like to let the mothers to go naturally into labour because there is a less likelihood of complications for the mother. I looked at him and said if I get 20 minutes with my baby alive I'll be having a C-section. The room went quiet after that. The doctor realising how uncomfortable we were said 'I hope we haven't put you off coming here again' and I just said 'thank you' and shook his hand. My husband said to them, 'there is not much chance of her coming back here now'. I felt they tried to scare my husband a lot, as they said lots of stuff about C-sections afterwards to try and talk me out of having one. My husband’s main concern was for me, but my main concern was for Lilly. I knew in my heart that she wouldn't survive a normal birth with the broken little heart she had, so I pushed for a C-section. I went back down to Wexford and the doctor there was actually surprised I was still pregnant and that I had not miscarried. I never really warmed to her that much, but was shocked when she said that, and then added: "of course if you were in England you would be able to have more options for a termination". I said to her that an abortion was never going to be an option for me, "my baby is alive and kicking inside me", I said. I would have done anything for Lilly, literally given my life for her to be here... so how on earth could I have her life on my hands because I hadn't done everything humanly possible to make sure she got here safe and sound? We picked the Coombe hospital in Dublin to have Lilly as they couldn't cope with her down in Wexford, and it was the best place in the world to go. The doctor was fantastic, and on the day before the C-section I was changed to another doctor to do the operation. This doctor was equally as great - she introduced herself to me and even rang me up to make sure I was doing ok before and after the operation…I’ve not heard of many consultants that do that. 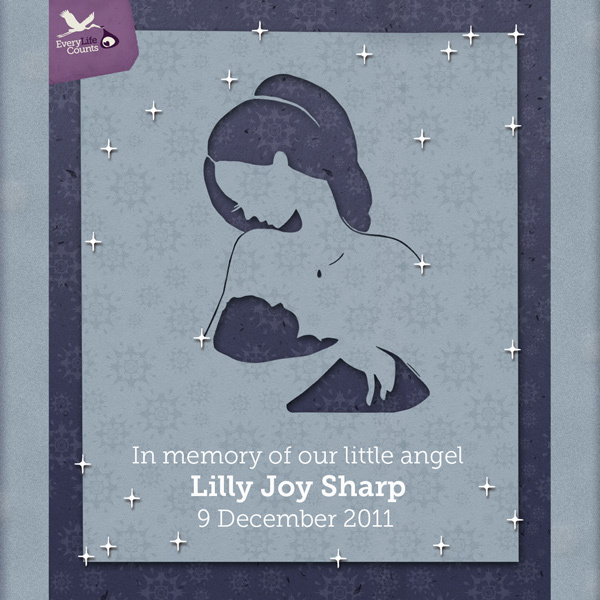 On the 9th of December 2011, my little Lilly came into this world, all 4lbs 1oz of her, by the gentlest hands of the lovely doctor. She cried a small cry and was taken to get warmed up and tested. I was brought to the recovery room and told she was doing well and breathing on her own. I sent my husband down to look after her and he got a video of her on his phone. We didn't know that this would be the only video of her alive. 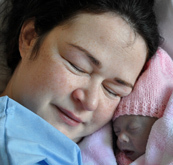 They had thought she would live for 3-5 days when she came out, but then the paediatrician came in to give us the bad news. She said that everything about Lilly was critical; her heart was bad but it didn't account for everything else that was wrong with her. 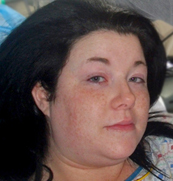 Her lungs and most of her main organs were not functioning properly. I got scared and angry at this stage, and said: "I need to see my baby". They brought her to me with a tiny little pink hat and a little pink cardigan that was still really too big for her tiny little frame. She was so beautiful, like a little tiny doll. 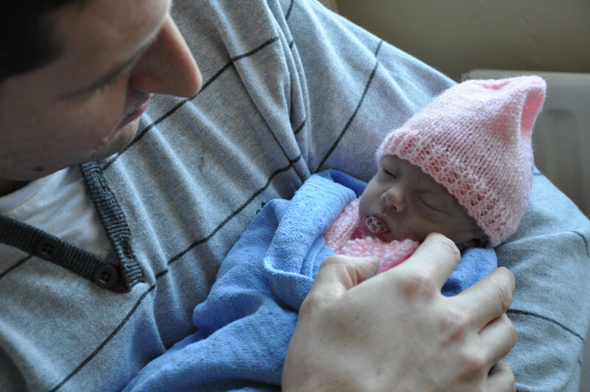 When she had just been born her daddy, had commented on how tiny she was. Indeed, she was the tiniest baby he had ever seen. We had one whole hour of her to spend with her, being here saying hello to us. Then she peacefully took her last breath, and slipped away in my arms with her daddy right beside her, and while we both told her how much we loved her. We begged her to wait for her sisters to arrive, but she had put up such a good fight just for that one hour. Looking back, it’s almost like she waited untill she had us both alone with her so she could pass away in peace. Nearly four hours of living and she fought to stay with us - she was such a brave, little fighter. Despite that, however, in the end her little body was too broken and she couldn't stay any longer. We got 64 photos that day some of her alive and some of her when she had passed away. 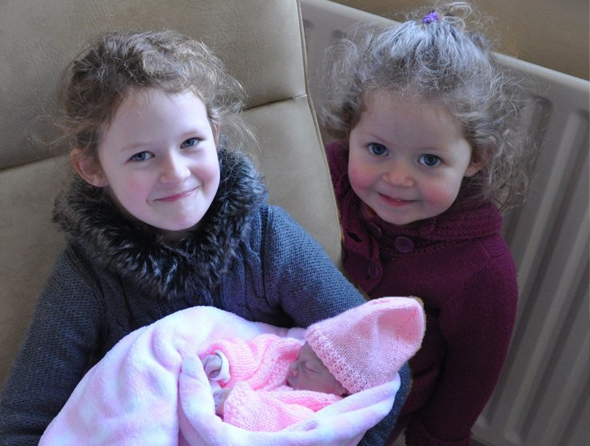 She even got pictures with her sisters and they said how tiny and pretty she was. She was so light for her 7-year-old sister to hold. She passed away so peacefully a blessing but the saddest thing her daddy and I have ever seen. 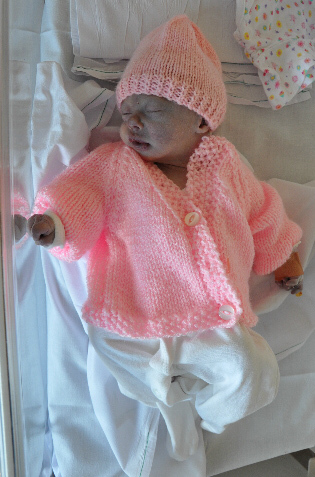 Our little girl, made by us and there was nothing we could do to help her. We were left with her little body. There were so many emotions that we went through. 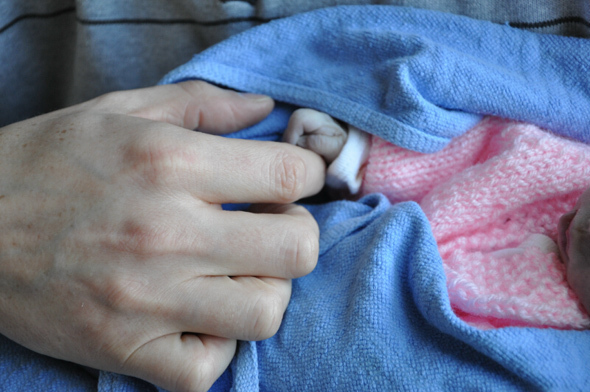 As her little body changed so quickly we were trying to keep her as cold as possible. They didn't have these new cots now called cuddle cots which means you could have your baby with you all the time. We had to try and keep her in the coldest room so she could be preserved with dignity. 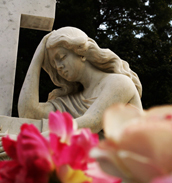 We buried her on the 14th of December... and a piece of me went with her into that grave. Her sisters drew her pictures, I wrote her a letter, and we put in the family photo we had with her into the coffin so she knew she was and would always be so very, very loved. I got pregnant again in April of last year, which was only a few months after Lilly died. We had another little girl who we have called Hannah Lilly. I picked that name, as Hannah's name means grace which is my name and I felt that she should have her big sister's name to carry her through life. We will always have somebody missing from our lives, but spiritually we will always have an angel watching out for us - she will always be here in spirit. I know that now it’s just when you go through such a raw emotional time you can't get past the heart ache. Her sisters still talk about her and how much they miss her and wish she was still here... what an impact she made on them too. I look back knowing I did everything I could possibly do to make sure she got here and felt loved. I tried to make her short, little life full of love, and until we meet again, I will be doing the same for her sisters that are left here as we send Lilly the same in heaven. My husband's father died three weeks before her and it’s like he went just before so he'd be right there waiting for her when she arrived. My father had died in 2009 so he had got the garden blooming up there in preparation for her arrival. She is with family there in Heaven! I tell the girls that she's up there in heaven with their granddads watching over us all and making sure we're ok and giving us invisible hugs to make sure we stay happy and laugh a lot. There's a prayer that says: An Angel in the book of life wrote down our baby's birth, and whispered as she closed the book, too beautiful for this earth. 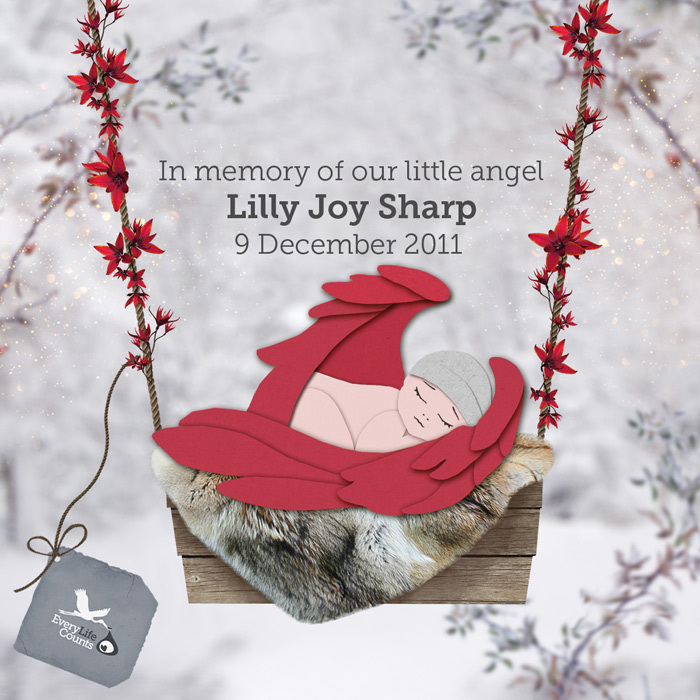 That was our beautiful tiny girl." 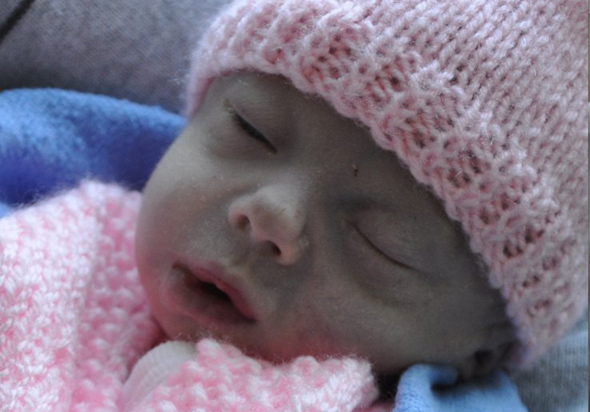 TRISOMY 18 or EDWARD's SYNDROME arises because of the presence of an extra chromosome. There is a significant risk of miscarriage before birth, but, quite contrary to recent reporting, studies have found that the average duration of survival for children who lived until birth with Trisomy 18 was 14.5 days; with 39% of babies surviving for more than a month, while 8.4% survived for more than a year. "I tell the girls that she's up there in heaven with their granddads watching over us all and making sure we're ok and giving us invisible hugs to make sure we stay happy and laugh a lot."